David W. Zehnder is a Managing Principal of Economic & Planning Systems, Inc. (EPS). Arriving at EPS in 1992, his practice is focused on mixed-use development in the infill context, often seeking to activate public investments in transit-oriented, university, downtown, industrial reuse, and maritime districts to create broad economic benefit. 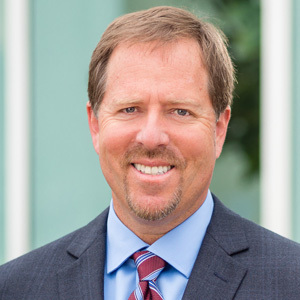 As immediate past Governance Chair of Urban Land Institute (ULI) Sacramento, he has been instrumental in ULI’s ongoing technical assistance in the study of Downtown Sacramento’s Arena District and other emerging districts. David holds BA Degrees in both Economics and Geography from San Francisco State University, and a Master’s Degree in City and Regional Planning from UC Berkeley (emphasis in Regional Economics). He enjoys competitive bicycling, backpacking, and spending time with his family in Davis, CA.